This level is so easy and you need to break all jellies with blockers within 50 moves. For this level you should first play from bottom and break jellies. You should make special candy from anywhere you get chance. You could make lot of score by using extra moves plus also not to forget to balance the Odus owl till the end. 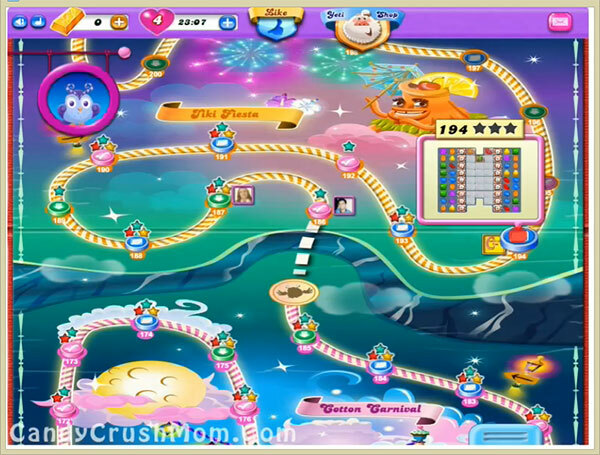 We completed this level with 164100 by playing near to blocker and breaking jellies with special candies that help to reach requirement with two star score.